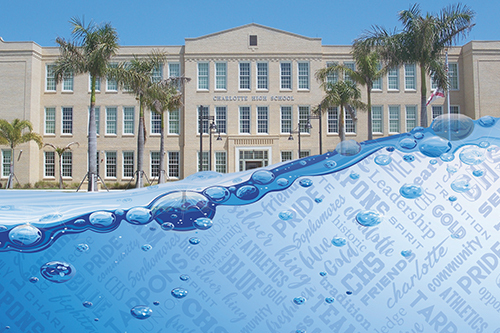 Charlotte High School is known as Charlotte County's First and Finest High School. Having first opened its doors in 1926, CHS is rich in history, community support, and tradition. Our unique mascot, the Fighting Tarpon, was chosen as a fitting mascot for Charlotte High School because of the tarpon's tenacity, survivability and majesty. Be a Learner, Be a Leader, Be a Tarpon! "Tarpons have MOJO" which stands for: Motivation for success, Ownership of our actions, Journeys through education, and Optimism for the future. We continue to promote a culture where Tarpons do their best, do what is right and treat others the way they wish to be treated. Charlotte County Public Schools attempts to make all of our websites accessible to all visitors. If you encounter a problem with website accessibility, please fill out our webpage accessibility request form to request alternative access to the content. Alternatively, please call the school or district department responsible for the page and they will provide you with alternative access. © Charlotte High School. All rights reserved.